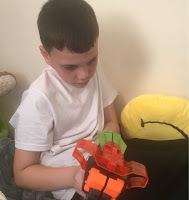 We all have grown up making paper planes, it something that is passed through the generations. I must admit my paper plane skills are not all that and then tend to make nose dives. So imagine my delighted and of course the kids when we got our hands on this cool Paper Plane shooter which allows you to fire up to 5 planes at once. 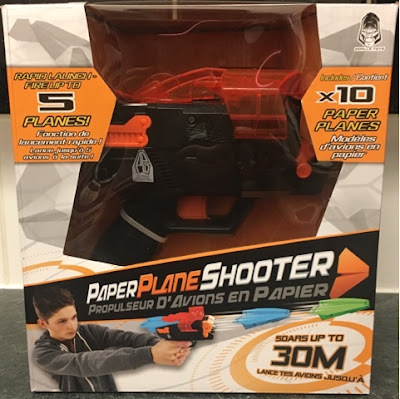 Inside the Paper Planes shooter box, you get the Paper Plane Shooter which requires 4 AA batteries, also inside the box are 10 ready made paper planes, you can also use these paper planes at a template to make your own if you want to. 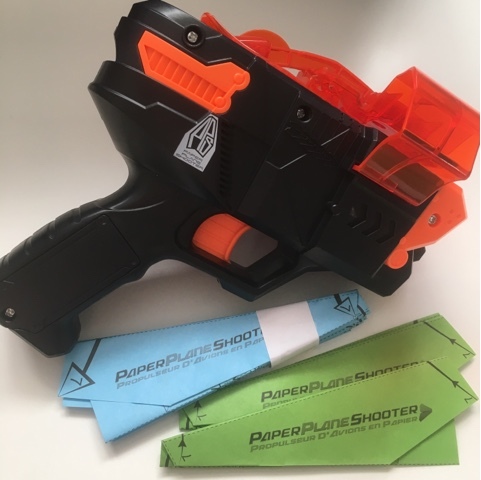 We couldn't wait to give the Paper Planes Shooter a try, we turned on the device and the paper plane fits into the slot really easily, then you pull the trigger and before your eyes, the paper plane shoots off soaring through the air at an amazing speed reaching far distances. 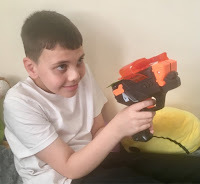 For more information check out Vivid Toys & Games/Paper Plane Shooter and why not check out this cool video to see just how cool the Paper Plane Shooter is! I was given the Paper Plane Shooter to review, all thought are that of my own. *Contains affiliated link.